Mantua (Mantova in Italian) is a little gem in North Italy. It is one of Italy’s UNESCO World Heritage sites and was also the European Capital of Culture in 2016. Only 2.5 hours away from Milan and 35 minutes from Verona, Mantua is a great base to explore other towns of Northern Italy. 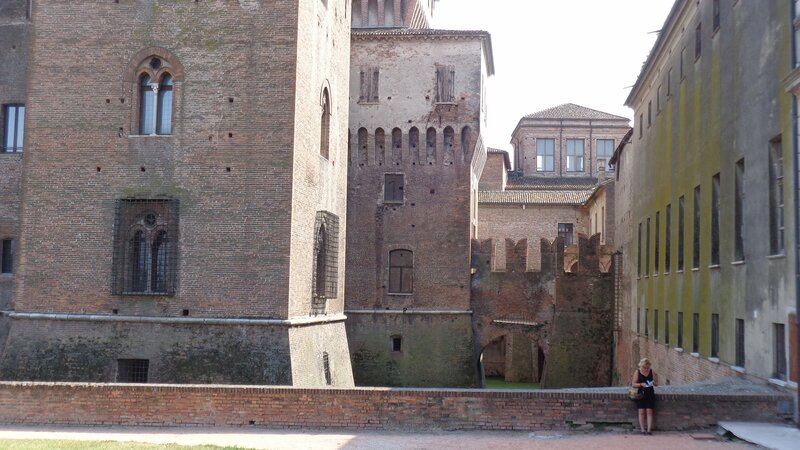 Visit Mantua and explore the town of Palazzo Ducale and Palazzo Te. Mantua is also famous for great food (as is everywhere in Italy) with especially sbrisolona- a crumbly cake. If you want to be a little off the tourist trail, Mantua is the place for you! If you search on Trentialia.com it is Mantova. (The Italian name). Mantua is gorgeous and these photos will show you why! Have you been to Mantua?? Access the Italy Resource Library!! Haha that’s the whole point 😉 Thank you! Thanks for your kind comments, Marcus. It indeed is. What’s your favorite part of the town? 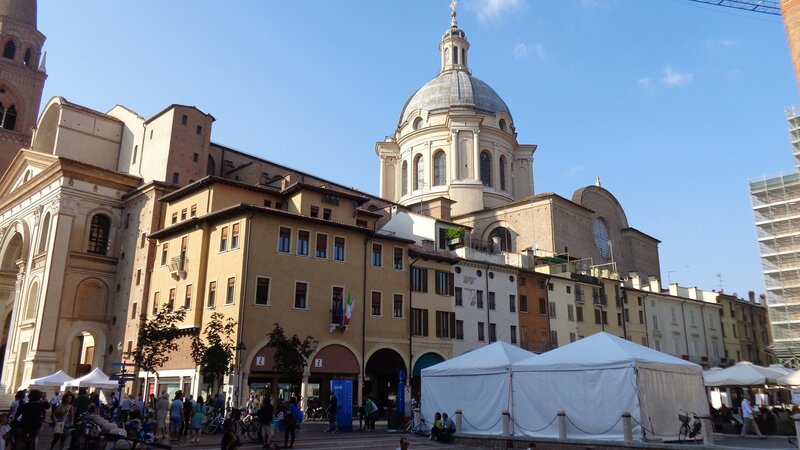 I love the streets around the Piazza delle Erbe with the Rotonda di San Lorenzo. And Sant’Andrea is a spectacular church. I’ve stayed in Milan so many times, but never have visited Mantova. Now I will! Inspiring photos. Thanks so much 🙂 When do you plan to visit Italy next? Thank you so much dear. I will have a link at the link. Have a great day!! Your post makes me yearn to return to Italy. Beautiful photos. Thanks so much for your words. Mantua is really wonderful and off the tourist track. Surely will have a look, Sam. Cheers!